For all intents and purposes, Sting has musicalized what is arguably his greatest album The Soul Cages – full of warmth and sadness and Celtic rhythms – in his new show The Last Ship in previews at Chicago’s Bank of America theater. Directed expertly by Joe Mantello (Love! Valour! Compassion! 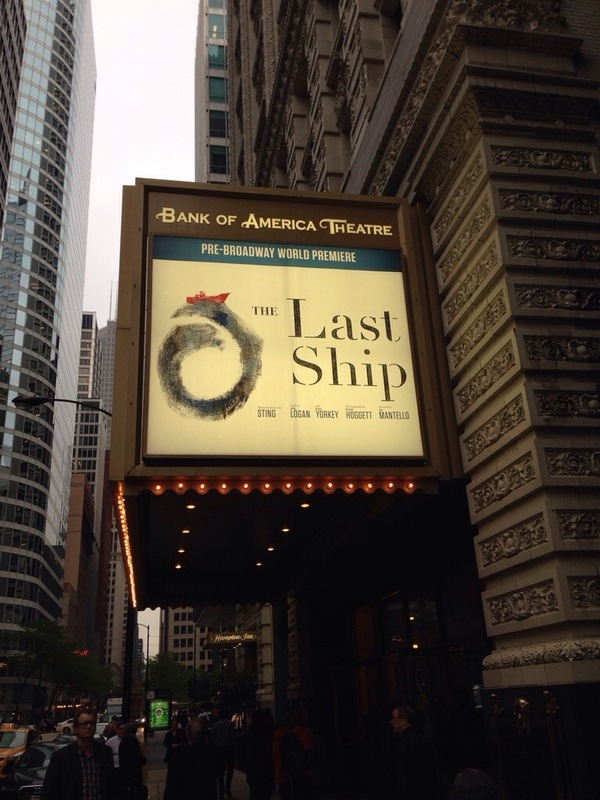 and Wicked) with an efficiently insightful book by John Logan (Gladiator, Skyfall) and Brian Yorkey (Next to Normal), The Last Ship paints the hardscrabble tale of an English community (based on Sting’s hometown experiences) whose sole industry – shipbuilding – has seen better days. Against this backdrop, Gideon, who fled this life and the girl he loved (Meg), returns to find the son he never knew and the life he never wanted. Narrative tension comes from the “will they, won’t they” of Meg and Gideon resuming their romance. I won’t spoil the surprise, but I was pleasantly heartened by the believable outcome of that particular storyline. The ensemble does marvelous work with Sting’s hypnotic score. The title song will be stuck in my head for weeks. And the key themes of class and faith and honoring one’s past will resonate with every viewer. In fact, that is what works most wonderfully in this new production. Yes, the show anchors around a rather conventional love triangle, but the anxiety of a town trying to find its footing again as its chief economic foundation erodes is compellingly told. Using minimalist design that evokes a number of locations (think “Jersey Boys” in the U.K.), Sting and Logan and Mantello populate this seaside village with a cast of characters that would not be out of place in Popeye’s Sweethaven. Standouts in the cast include Michael Esper (“Gideon”), Rachel Tucker (“Meg”), Sally Ann Triplett (joyously Emily Watson-esque as cheeky “Peggy”), Jimmy Nail (sounding uncannily like Sting himself as “Jackie”), and Fred Applegate (“Father O’Brien”). 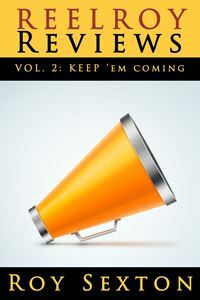 I’m not sure if it is kosher for one to critique a show still In previews … so don’t consider this a review. Rather, think of it as a shameless plug to go check out this fabulous, grounded, melodic production either in Chicago or when it magnificently sails to a town near you. It will be on Broadway soon. thank you, thank you, for this good news roy, and i cannot wait! so sting was not onstage? I loved hearing it one night via PBS…and thanks for the album…shades of the chieftains! boffo review! Did you fix him tea and crumpets, Beth? Alas, no Sting on stage. Though I understand he was somewhere in the building watching the performance. The Phantom of the Shillelagh? when are you two starting a radio show? seriously!!!! 🙂 roy/beth…no, beth/roy! or the “ks” works! Just a couple of things. This play is about Sting’s home town. The Last Ship is set in Newcastle upon Tyne, which is in ENGLAND, not IRELAND. Its hardly a village, or even small town either, with a population of over 830,000 people. A third of the world’s ships were built on Tyneside up until 30 years ago. A check on a couple of facts before launching into your preview/review would be nice. Thanks for the correction Roy. Its because I’m from Newcastle that I care so much about anything cultural that is based around, or inspired by, my home town. I bought the album Sting released last year which includes music from (or maybe not by the time it hits Broadway) the show. It is great. There don’t seem to be any plans to open on the this side of the pond. Perhaps they are waiting to see how it gopes in NYC first I’m sure a European premier at the Theatre Royal in Newcastle would go down very well. BTW, Jimmy Nail, who plays Jackie, is also from Newcastle, just like Sting. My pleasure! Thanks for taking the time to read and to write! Does my heart (and brain) good. I daresay (and hope) this will be a big success so I suspect it will find its way to you. And given your understandable passion for your home and for the music, you will be enraptured. I adored Nail and plan to track down his other recordings. I just realized he was Magaldi in the film of Evita. I loved that performance of his. What a fabulous face and voice!